CFM Purchase is an intelligent and reliable solution that’s designed to simplify complex order processes for shipping companies. Providing a centralised and fully integrated solution, CFM Purchase significantly improves logistics and stock planning. CFM Purchase provides shippers real-time access to purchase data that’s available immediately whenever new data on orders is entered into CFM Purchase. Information is available anytime, at any place on smartphones and tablets. In addition to this, due to real-time budgeting, costs that occur due to the acceptance of a bid, impact immediately on the budget and not until after invoice receipt. "I am enthused by the new possibilities that CFM Purchase offers. Until now, purchasing always required an enormous communication and planning effort. With Hanseaticsoft’s new purchase module, the whole purchase process is done in a single application and everyone concerned is always informed about the latest status. This greatly reduces the time administrative effort required," said Patrick Toll, CEO of PT-Shipmanagement. The CFM is at the heart of Hanseaticsoft’s product portfolio. It is an intuitive and flexible solution for managing and organising entire fleets. CFM offers flexible and interdependent software solutions that enable shipping companies to improve internal structures and increase the data quality while lifting some weight off their in-house IT. 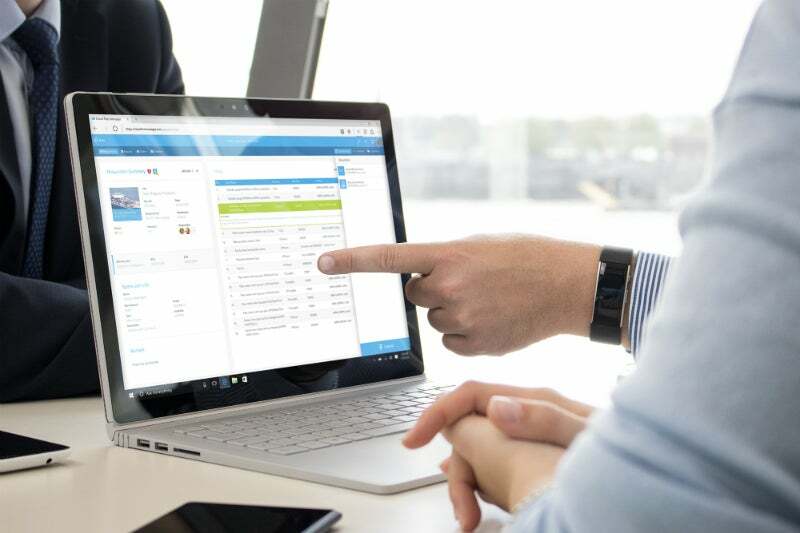 To power an intuitive and work-saving application suite that allows managers and employees of shipping companies to meet the steadily growing challenges of technology and information, Hanseaticsoft uses many features of Azure, including web roles, worker roles, Azure Blob and Table Storage, Azure SQL Database, Azure Service Bus, and message queues. "Microsoft Azure offers us a variety of benefits, including reduced effort and reduced infrastructure costs. This enables us to focus on increasing the quality of our product. Azure helps us to guarantee that our worldwide customers will have reliable, real-time access to their data on the platform," said Alexander Buchmann, CEO at Hanseaticsoft. "As the cloud continues to transform entire industries, companies can benefit from the global scale and agility of Microsoft Azure," said Andrea Carl, director, commercial communications, Microsoft Corp. "We’re pleased to see Hanseaticsoft’s commitment to Azure as it enhances its customers’ experience."